Our Year 7 Transition Program focuses on making sure every student feels safe, happy and connected to school. We understand that moving from primary to secondary school is a big change. It can be exciting, but can also be challenging or worrying for many students. 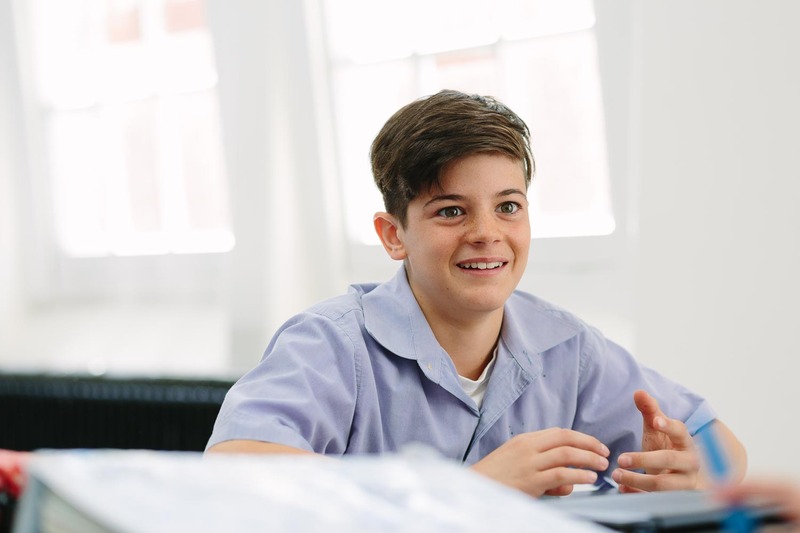 We have a developed a Transition Program that runs throughout Year 7 to support our new students and make sure their transition to our school is as smooth as possible. Activities and events are held throughout the year to support students to build organisational and study skills, develop strong peer relationships, enhance resilience and mindfulness, and to build a sense of connectedness to the school community. This event is an opportunity for parents to find out specific information about transition from our Principal, Assistant Principal and Head of the Junior School. It’s also a chance to hear from current Year 7 students about their experiences, meet other Year 7 parents, clarify information and ask questions. In addition to liaising with primary schools during Grade 6 to understand our new students’ strengths and areas for improvement, we also conduct a series of educational assessments to help us understand achievement levels in mathematics, reading, spelling, written expression and general reasoning. Collecting and understanding student learning data allows us to plan for differentiated instruction to make sure every student has an appropriately challenging and stimulating learning environment that reflects their particular needs. This testing is not an entrance test, students don’t pass or fail, and it is not a conclusive statement of a student’s ability. It is just one of the measures we use to inform a snapshot of each child to allow us to better understand, monitor and support their development. The Year 7 Orientation Day happens in December of the year prior to starting. It’s a great opportunity for students to spend a day at the school to meet some of their teachers and classmates, familiarise themselves with the campus, and learn how to become involved in co-curricular activities. Parents are also invited to a morning tea on the day to meet other Year 7 families and some of our current Year 7 students. Once a student is enrolled, we keep in regular contact with new families through our newsletter, Compass parent portal and our learning management system, My Northcote High, including important transition information such as payments, events, uniform, booklist and devices. We also provide a helpful transition checklist and a guide for getting ready for secondary school. For more information, see Communicating with families. Each student is placed in a core class group (Connect group) with whom they will spend the majority of their class time. As part of our Connect Program, each tutorial group has a daily session with their dedicated class tutor (their Connect teacher) who oversees their social, emotional and academic progress. These sessions cover topics designed to enhance student learning, social awareness and emotional development. Our Peer Support Program allocates two Year 10 Peer Support Leaders to each year 7 group. These leaders support students to learn more about the school and give them strategies and skills to manage life at secondary school. The leaders attend orientation activities, a Year 7 class at least once a week, and organise and participate in regular activities. The camp to Philip Island Adventure Resort at the start of Term 2 is an important part of our Transition Program. It assists students to build strong peer and teacher connections. Students participate in a range of fun and challenging cooperative activities that are designed to enhance teamwork, relationship building, communication and self-confidence. We run a 1:1 Device Program Information Evening to assist families with laptop purchase, requirements, set up for digital learning and managing it at home. All Year 7 students participate in our ‘Laptop Bootcamp’ early in Term 1. The session helps students connect to the school network, login to Compass and My Northcote High, and how to print. Our IT team also supports students throughout the year with technical problems. Our highly experienced Student Services Team includes a Year 7 and 8 Student Wellbeing Coordinator, Careers Councillor and Educational Psychologist. The team works closely with our Principal, Assistant Principals, Sub-School Leaders, Year Level Program Leaders, and Teaching and Learning Leaders to support the transition of new students. For more information about the transition to secondary school, visit Department of Education and Training. Students at each year level need specific books and ebooks. How we let families know what's happening with their child. Every student has someone to turn to for support and encouragement.